Random Comic Add To Favorites Dinnersaurus Rex is proudly hosted by Smack Jeeves Webcomic Hosting. "Dinnersaurus Rex" is about a family of 3 dinosaurs just being themselves; Mamasaurus is a single mother of two, Sweetie Dino is relentlessly sweet but often naive, and his brother, Baby Dino (named after Baby Sinclair from "Dinosaurs"), acts almost solely on his primal impulses. 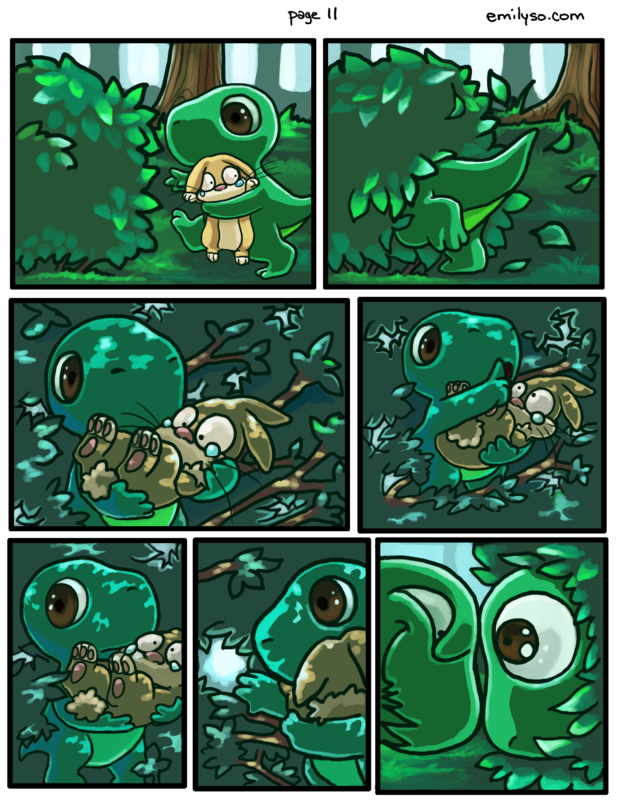 ohhhh my gosh this comic is waaay too cute. Can I just take those dinos home now please? That poor bunny looks like it's about to have a heart attack.